Founder Tommy Mayfield, back row, center, with members of the Wyndy team. Photo courtesy Wyndy. The babysitting service app Wyndy, which is based in Birmingham, recently raised $1 million in seed money to help launch the app in three new locations this fall. Wyndy officials are trying to launch in Dallas-Fort Worth, Texas; Raleigh-Durham, North Carolina; and Atlanta. According to Wyndy CEO and founder Tommy Mayfield, the team settled on those three areas for expansion because of the large numbers of young families there. In addition, each location is home to great academic institutions, which is important as the app service uses only babysitters who are full-time students at a university. “The money has allowed us to build out our team, accelerate our product development timeline and focus on expanding to new cities while continuing to drive growth in our existing markets,” Mayfield said. 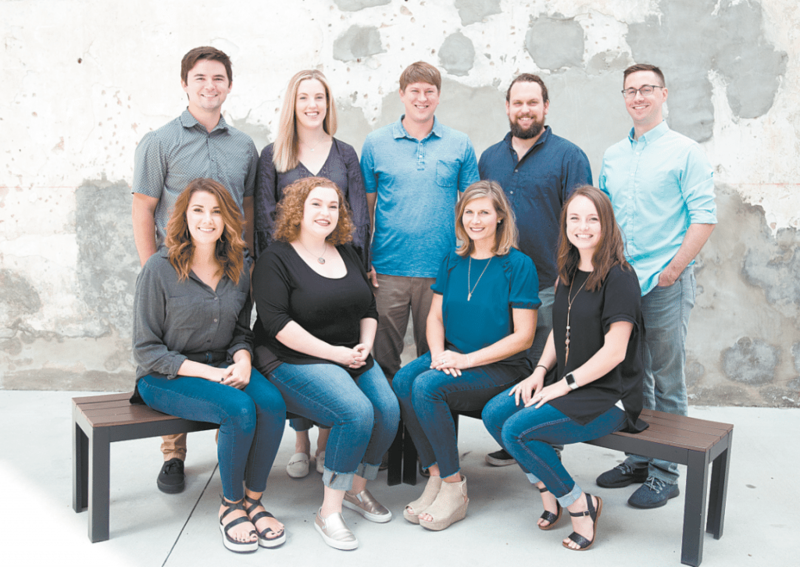 The investors who helped raise the seed funding are all Birmingham-based, including Chad Trull, president and CEO of Hospicelink Inc. and winner of Ernst and Young’s Entrepreneur of the Year Award for the Southeast. Wyndy also was awarded $100,000 from the Velocity Fund after completing Innovation Depot’s Velocity Accelerator Program in May. Before the service was launched in March 2017, the Wyndy app started out as an idea to solve a growing problem for Mayfield and his wife, Ginger: finding a dependable babysitter. The Mountain Brook couple was in need of extra help at the time, with two children under the age of 3, Mayfield working as a lawyer for a large corporate firm and his wife getting her master’s degree at night. Currently, the app operates in seven cities in Alabama, Tennessee and Virginia. It is a platform for parents to find, book and pay their babysitters – or “Wyndys” – in one convenient place. In addition, the app vets each of its babysitters with a background check before they are hired. In addition, the app allows parents to screen babysitters through a five-star rating system, shares social connections that enable parents to see the sitters their friends have used and offers detailed profiles so parents can view their qualifications. Over the course of the past year and a half, Mayfield said, what has surprised him most about the app’s success has been the stories he hears from people who use it. Wyndy can be downloaded for free at the App Store, Google Play or getwyndy.com.